Education reform activist and champion of migrant education U Naing Naing Tun passed away on August 2 in Thailand, according to his colleagues. He suffered a heart attack and died in the Mae Sot Hospital. He was 47. “His death is a big loss. I’m very saddened,” said Mahn Shwe Hnin, headmaster of the Children’s Development Center and a close former colleague. U Naing Naing Tun served as secretary and project director at the Burmese Migrant Teachers’ Association. He also worked with the National Network for Education Reform, the Children’s Development Center and the Migrant Education Integration Initiative. “I feel very sorry to lose him. 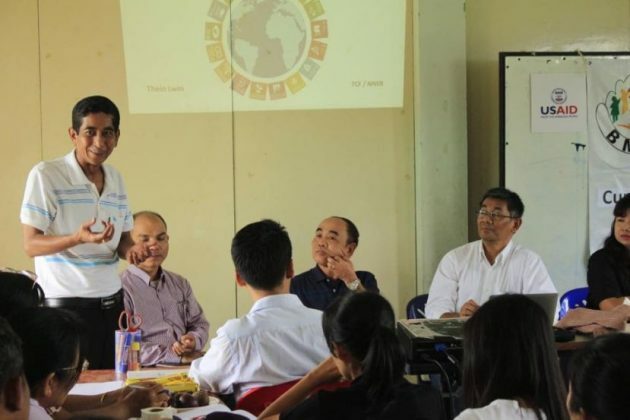 He worked hard for Myanmar educational reform, ethnic education, migrant education and democracy education,” said U Thein Naing, an advisor to the Burmese Migrant Teachers’ Association. U Naing Naing Tun had previously served in the New Society Party and was a member of the All Burma Students’ Democratic Front (ABSDF). He participated in the 1988 pro-democracy protests when he was 18. He received a bachelors degree in physics in Myanmar and completed further coursework online with the Open Universities Australia. He is survived by his wife and two daughters. A funeral will be held on August 6 in Mae Sot.